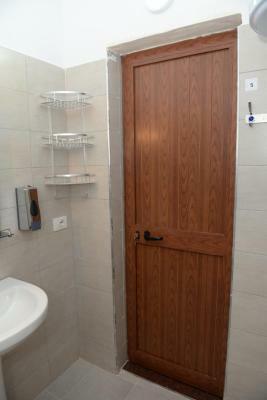 Lock in a great price for Guesthouse Villa Juri – rated 9.4 by recent guests! Untie Elizabeth was very welcoming, the place was clean and short distance walking (6min) to old town. I enjoyed my stay 😊. This place was great! Elizabeth, Bekir, and their son Redi were so hospitable during my stay. Elizabeth prepared amazing breakfasts each day and we had wonderful conversations about Albania and her life. On the last day Bekir drive me to the bus station which I was very grateful for. The room was just as pictured and beds were comfy. I had a wonderful time here, thank you guys! Very nice staff, I exceptionally enjoyed the coffee in breakfast!! New “hotel” but clean and good. Heat in the room....in mid-November it was nice to have. In city center, close to everything, grocery stores, restaurants, bars. Owner’s son brought us to bus station when we left. Breakfast( byrek, bread and home made jam was good) Typical Albanian dinner made by the mother was good and plentiful but a little expensive when you compare to restaurants. Elizabeth and Bekir were super welcoming and nice, they really made us feel at home! The place is very beautiful, 3 minutes on foot away from the city center. 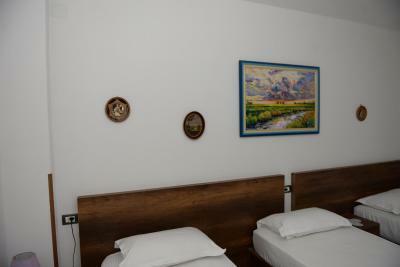 The rooms are brand new, very comfortable, and perfect for both short and long stays. 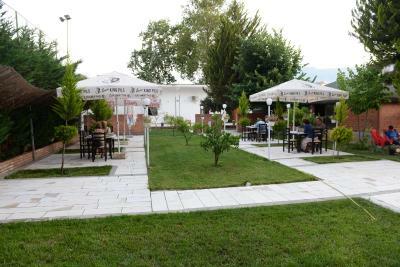 Be sure to stop here for a true experience of Albanian hospitality! Amazing food, comfortable rooms, and cordiality guaranteed. Guesthouse Villa Juri is owned/operated by a very friendly and welcoming couple, who went out of their way to make us feel at home. Elizabeth is an excellent cook, and would highly recommend having her delicious traditional Albanian food for dinner. Villa Juri is close to old town, close to the castle, and a short walk from the main promenade. 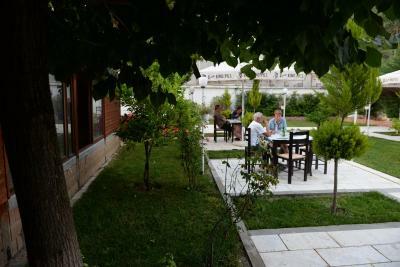 If I make it back to Berat, I'll definitely stay at Villa Juri again--can't recommend it enough as a guesthouse. The facilities are amazing, very good rooms with every necessity and very clean. The hosts are incredible, very frendly and helpful. Breakfasts are pretty good and tasty. Good and clean pansion. Very kind owners, very good autentic dinner. Good breakfast! Friendly hosts. Peacefull location. 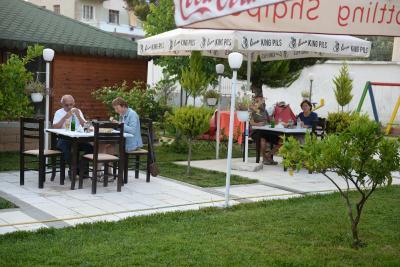 The guesthouse is in a quiet location but still close to cafes, restaurants and the old part of town. The room is small but comfortable and looks very new. There is cable TV with some English channels, air conditioning (we didn’t need it when we were there), a desk and wardrobe in the room. A nice breakfast was provided. The owners are lovely people who go out of their way to make your stay comfortable. Private parking is also available. I would stay here again. 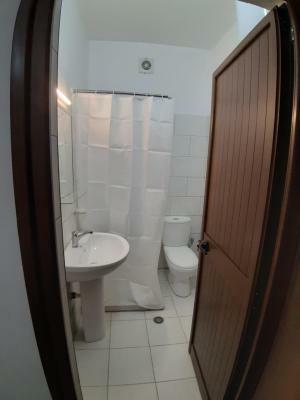 Guesthouse Villa Juri This rating is a reflection of how the property compares to the industry standard when it comes to price, facilities and services available. It's based on a self-evaluation by the property. Use this rating to help choose your stay! One of our best sellers in Berat! 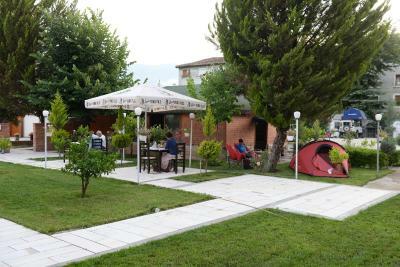 Guesthouse Villa Juri features free bikes, garden and shared lounge in Berat. 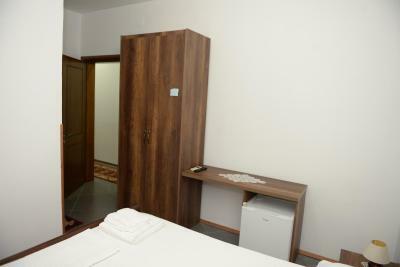 With a bar, the 4-star guesthouse has air-conditioned rooms with free WiFi, each with a private bathroom. The property has a 24-hour front desk, an ATM and buying tickets for guests. 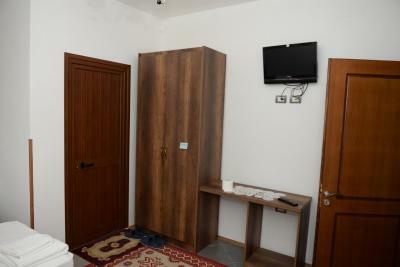 The rooms at the guesthouse come with a flat-screen TV with satellite channels, a kitchen and a dining area. Guesthouse Villa Juri provides some units with mountain views, and the rooms have a coffee machine. Guest rooms have a desk. Guesthouse Villa Juri has a playground. The area is popular for cycling, and bike rental is available at this 4-star guesthouse. 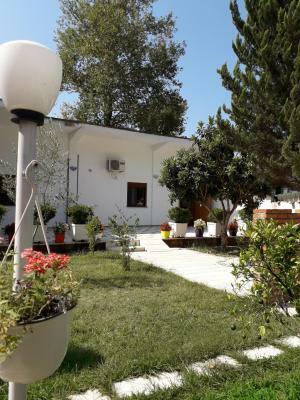 The nearest airport is Tirana International Mother Teresa Airport, 73 miles from the property. When would you like to stay at Guesthouse Villa Juri? House Rules Guesthouse Villa Juri takes special requests – add in the next step! The shower curtain cold be longer so it doesn’t wet the whole bathroom floor. It is NOT a Sheraton, but if you look for a place where to stay, this place is a quite, reasonably comfortable and priced location. Recommended. 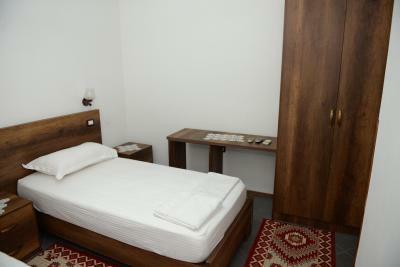 Staff, cleanliness, food, fridge in the room, value for money. 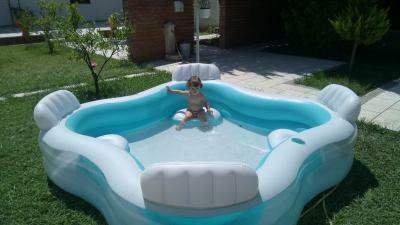 The facility is run by a family that is doing a great job to provide a good service to their guests. 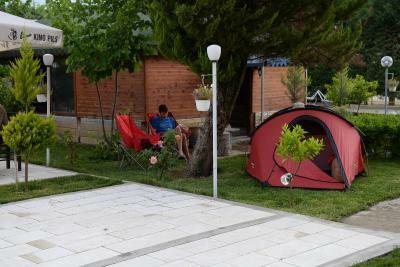 It is a "camping" in the city, where people can put on a tent, park a mobile house or rent a room. They serve dinner and if you are lucky you may get a free raki ! A little bit hard to find and had to walk to get to old Town. Elizabeth and Bekir are very kind and helpful in every momento. They picked us up from the busstop and the day we left Bekir nos drove with his car to the terminal.The room was very comfortable, the beds with fantastic mattress, very good WIFI. 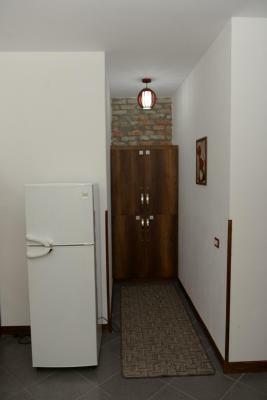 The location is a bit outside the old town but still perfect walking distance to everything. Very quiet and nice to sit in the garden to have breakfast or dinner there. The breakfast was outstanding!! not really clean, with somebody else hair in the bathroom. 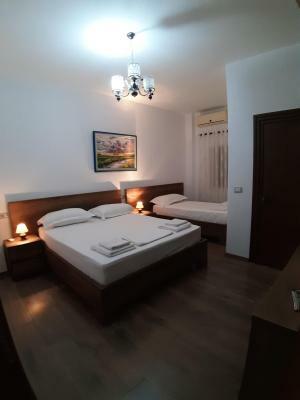 good location walking distance to Berat village, quiet place, powerful WiFi in the room and in the garden, big breakfast with homemade products included in the price. Amazing guesthouse. 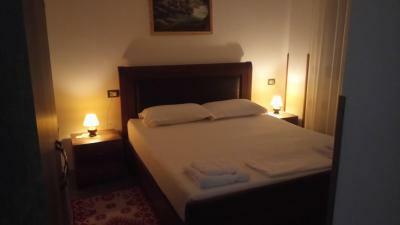 The rooms are extremely comfortable, the mattress/pillows/sheets/towels were all very good quality. Super clean and spacious. The rooms are very quiet and also have blinds that can fully block the light if you want. The family that runs the property is very kind and helpful, and the food they serve in their kitchen is excellent. They can help you if you are interested in doing a daytrip or need to know how to get somewhere. 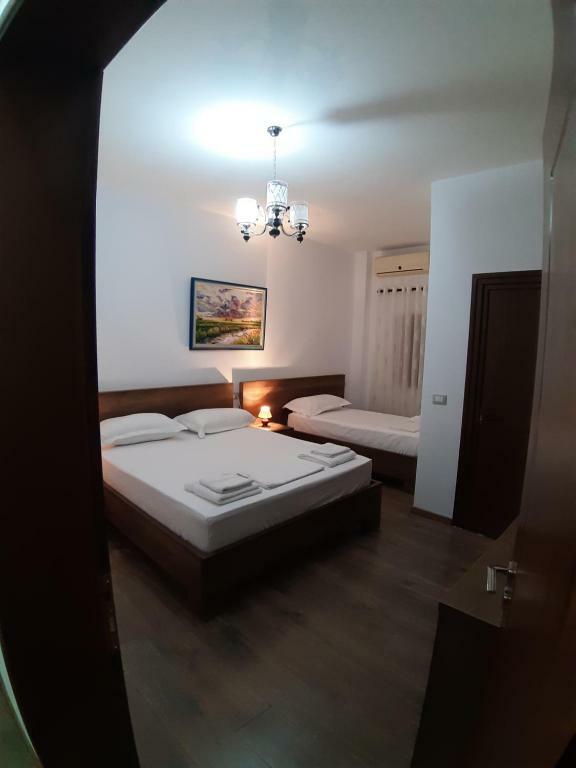 The location is great - it is easy to walk to the castle and old town, but is right off the main road through town so it is easy to get a bus if you don't want to walk. Very friendly and welcoming family. Large and comfortable room. The location is a bit outside the old town, so it's quiet but walking distance to everything. Safe parking. Very family friendly. Excellent meals. Great hospitality. Good and characterist food, good rooms. You feel like at home. Very kind owners. They helped us with everything. Good location with parking space. 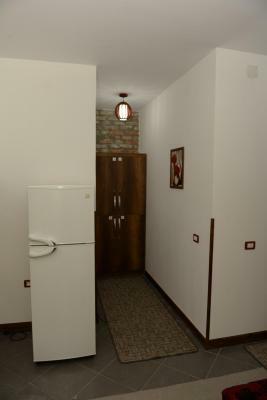 Great and clean room with little fridge and very good mattress.